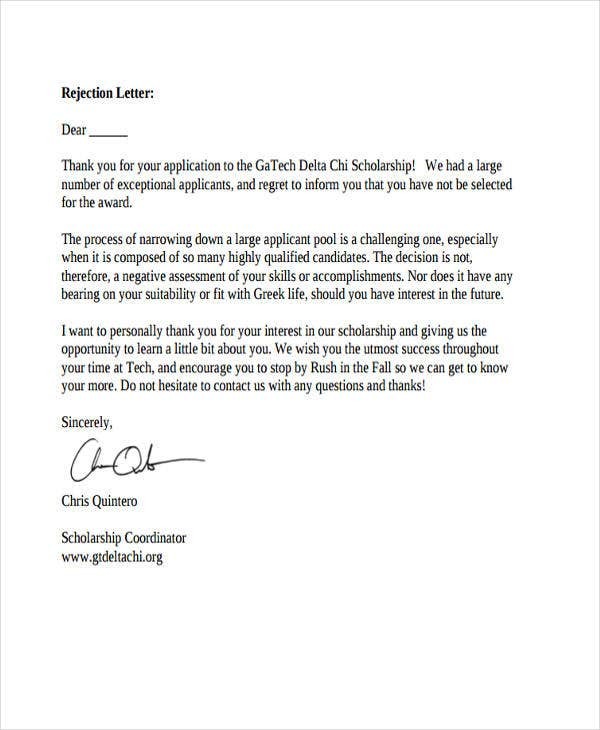 Can’t find the right words to start your rejection letter? We’ve got you covered. 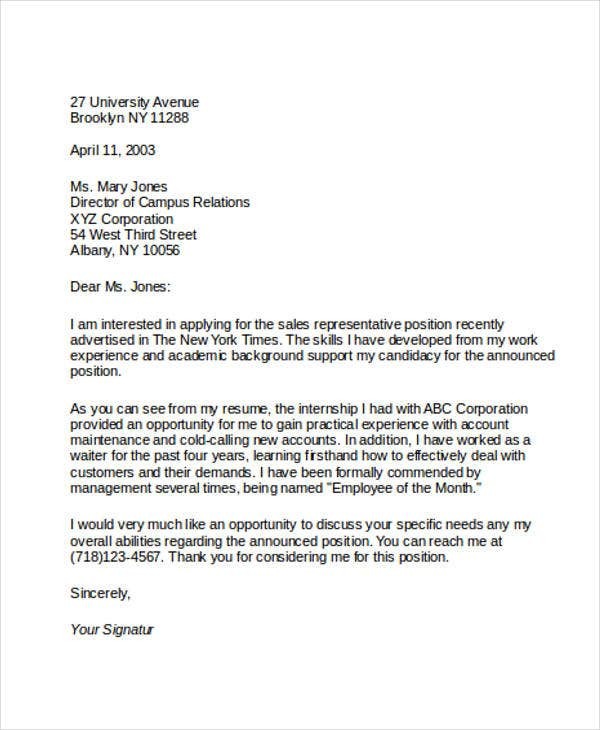 A rejection letter follows varied formats with respect to a certain context, purpose, and rationale. It is mostly associated with negativity because of the word rejection itself. That is a common misconception. 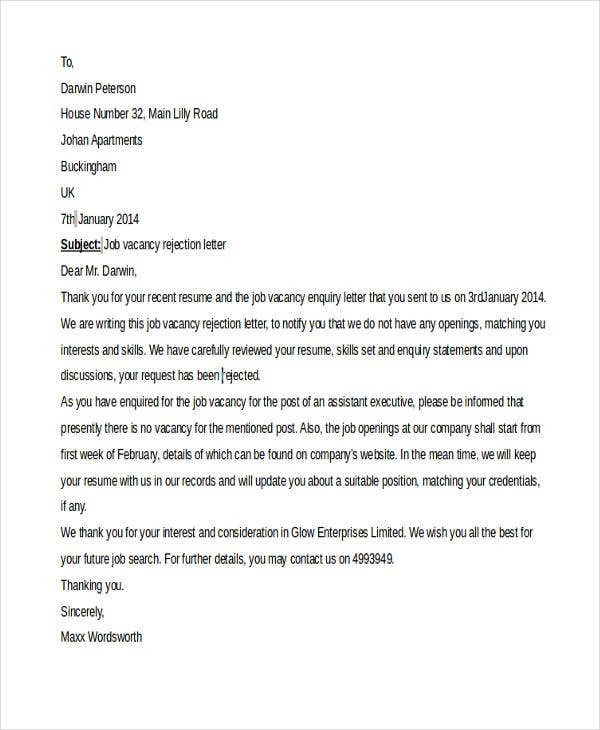 As defined by Cambridge Dictionary, a rejection letter is a letter sent by a company or organization stating and explaining that the addressee of the letter has not been for a specified undertaking such as a job application, internship, etc. Indeed, various definitions are associated with it depending on its use. 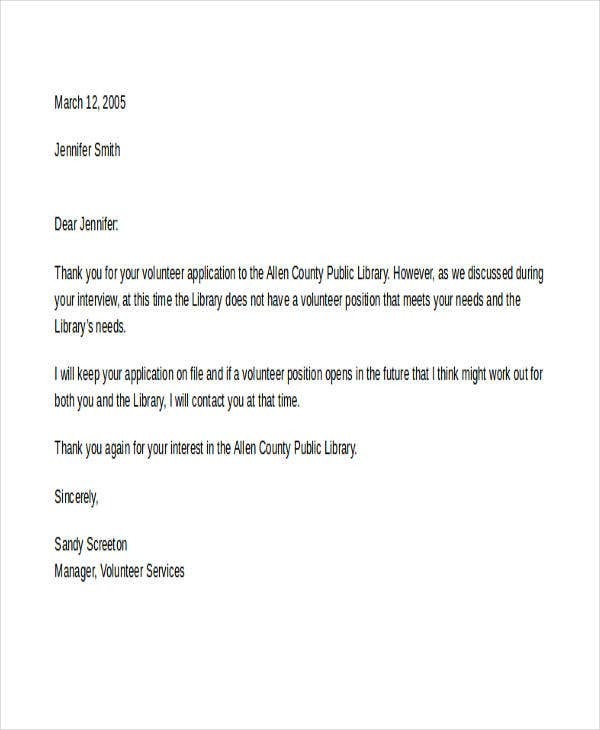 A concrete example of this is the applicant rejection letter. 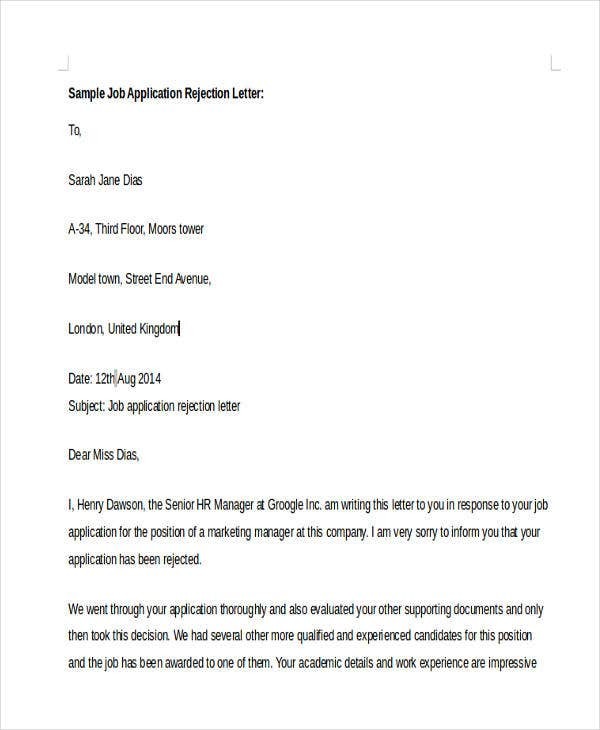 As what you can observed from our templates, we’ve provided you with samples about job application rejection letters. 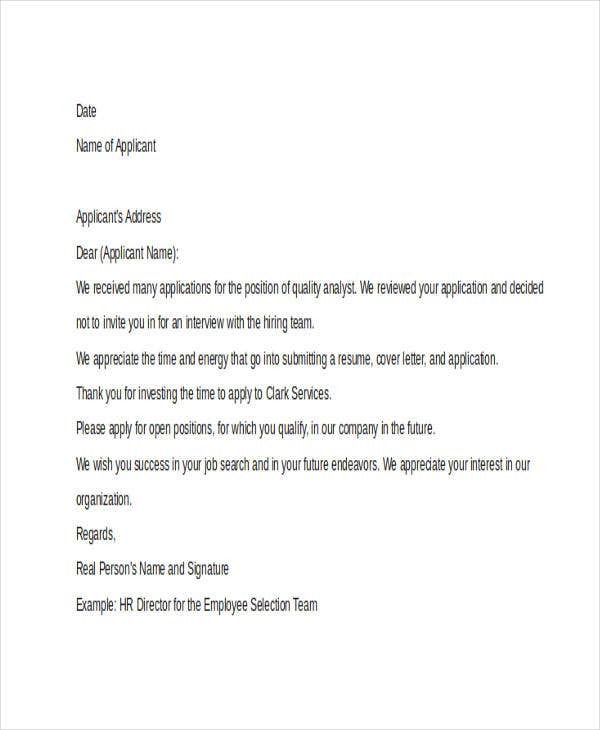 In line with this, the specified letter informs the job applicant that he or she was not hired by the company or organization with respect to the certain position applied for. 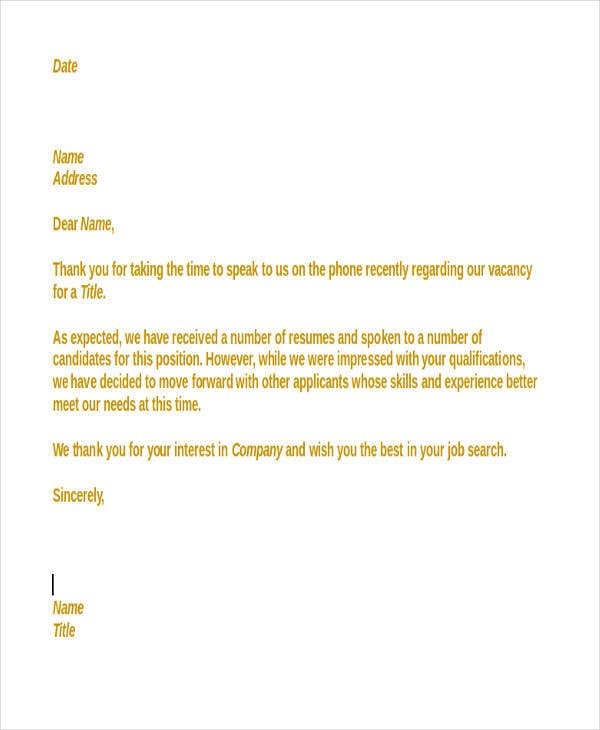 Usually, not all companies give out applicant rejection letters. 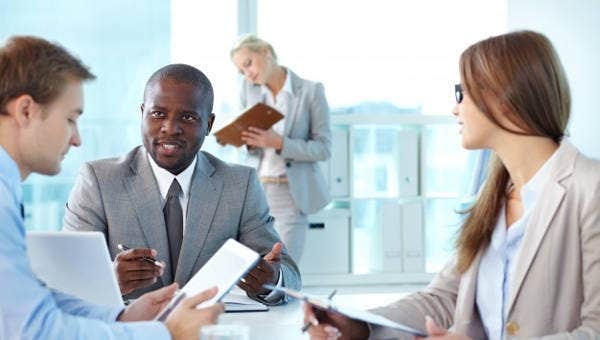 But, according to research, this is a good practice to venture on because it promotes the good will of the company and maintains the positive relationship with the applicant and the company in cases of future employment. 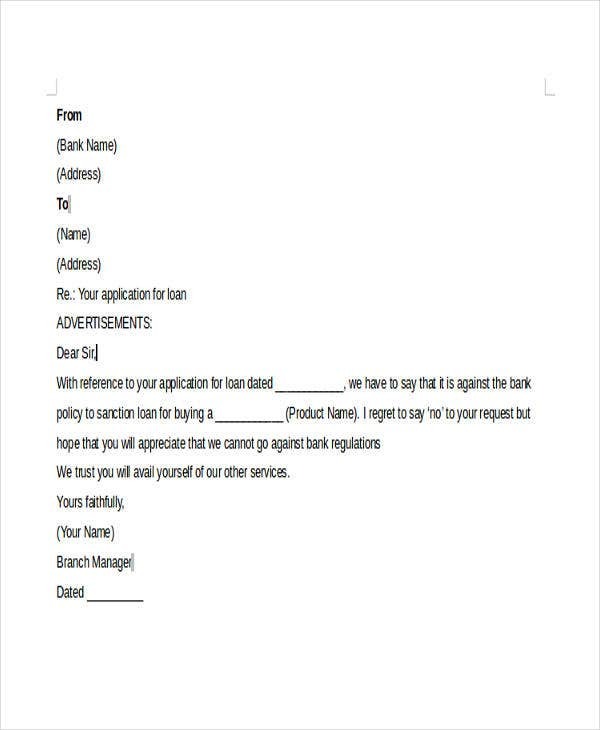 Make use of the company letterhead. 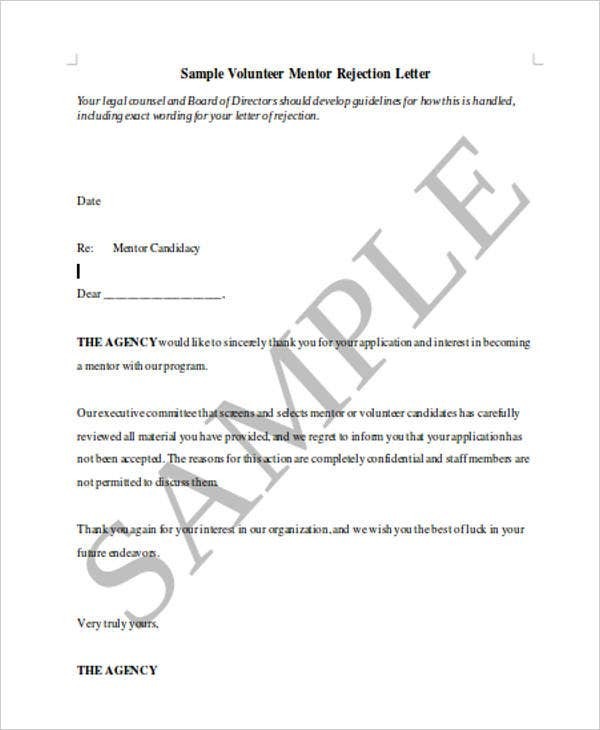 If there is none, format your own company letterhead. 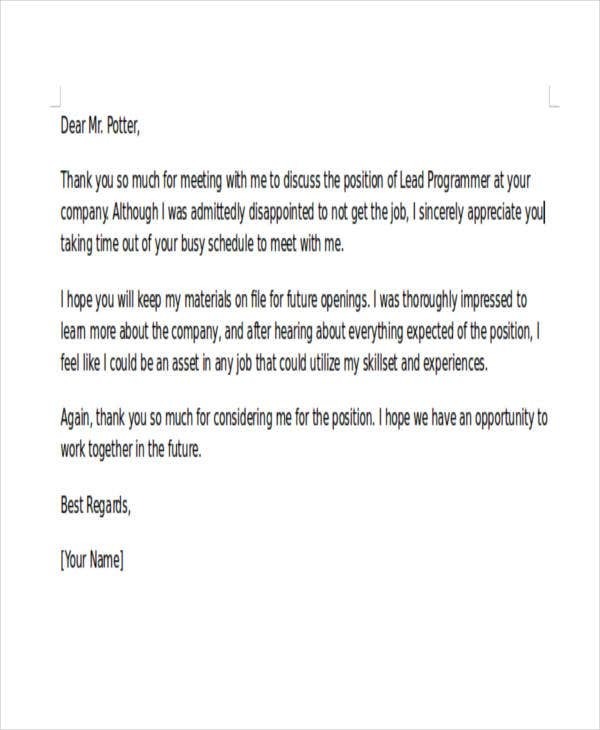 The job’s applicant’s name should be stated in the salutation. 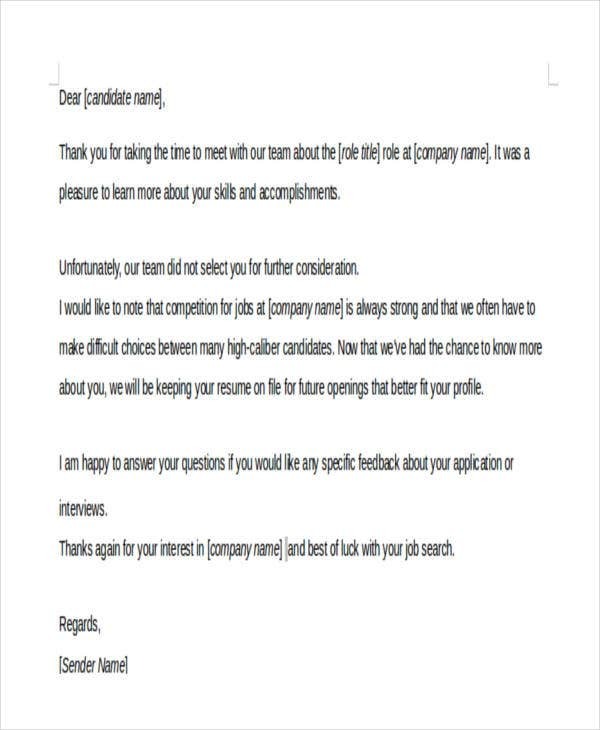 Express your gratitude to the applicant for showing interest to the company. Be straightforward in stating your decision. 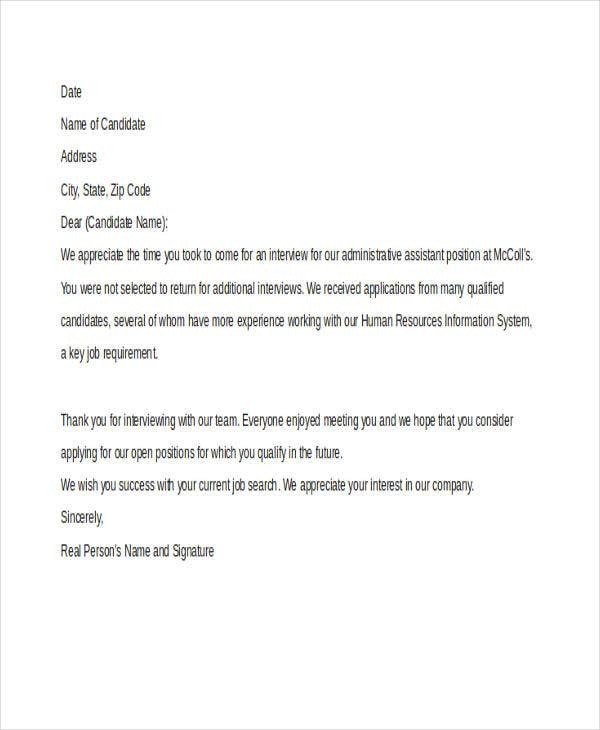 Provide a positive statement about the applicant’s qualifications and indicate that you had a hard time coming up with the decision. Ending note and warm regards. 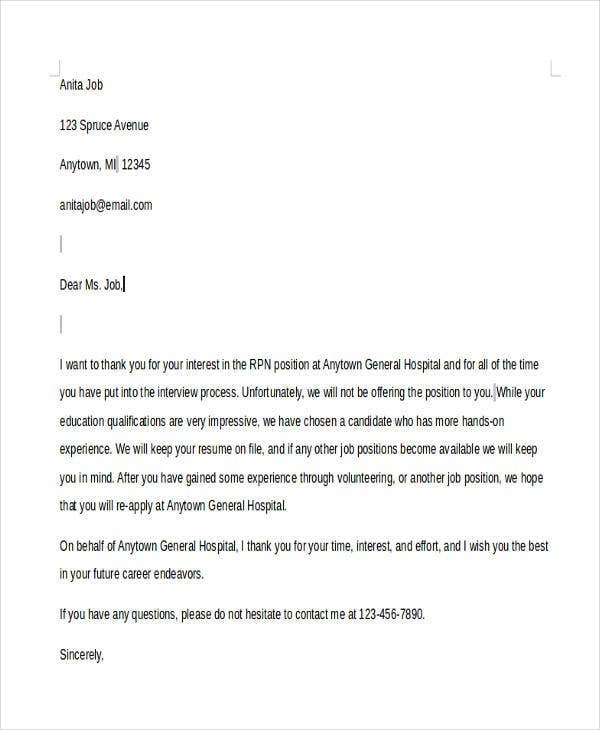 For further job applicant letter examples, check out the provided link. 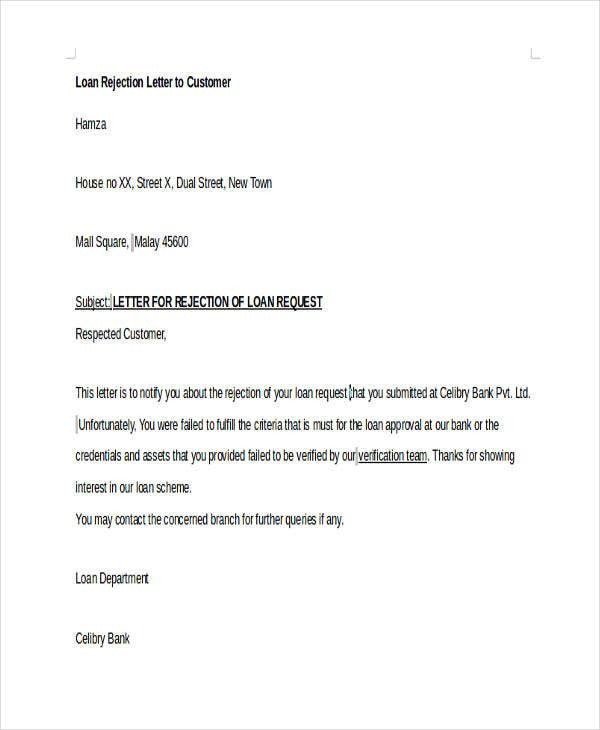 Loan rejection letters. 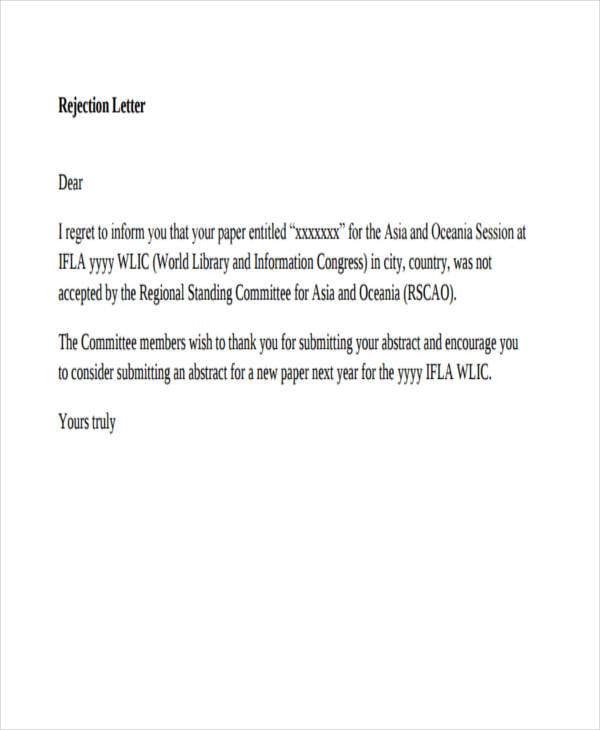 Like any other rejection letter templates, this is brief and straightforward. 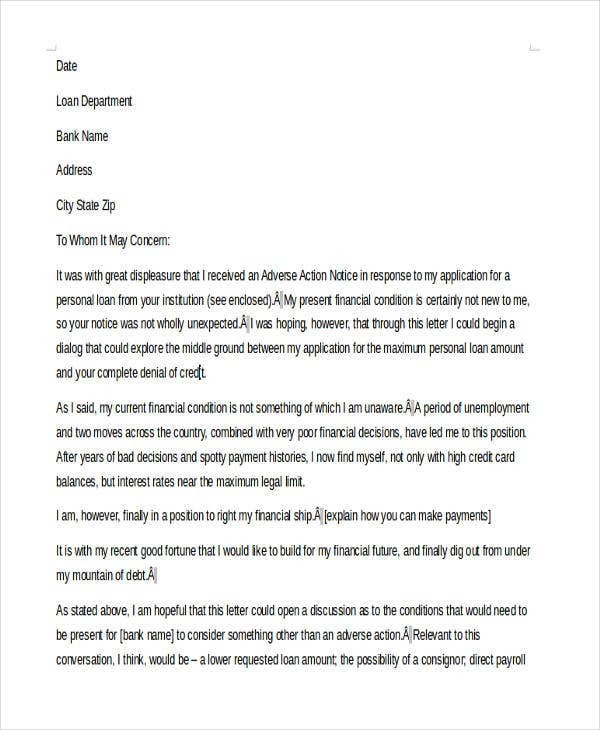 In this kind of rejection letter, the bank or any financial institution expresses their intention to reject the applicant’s request to avail of a loan. 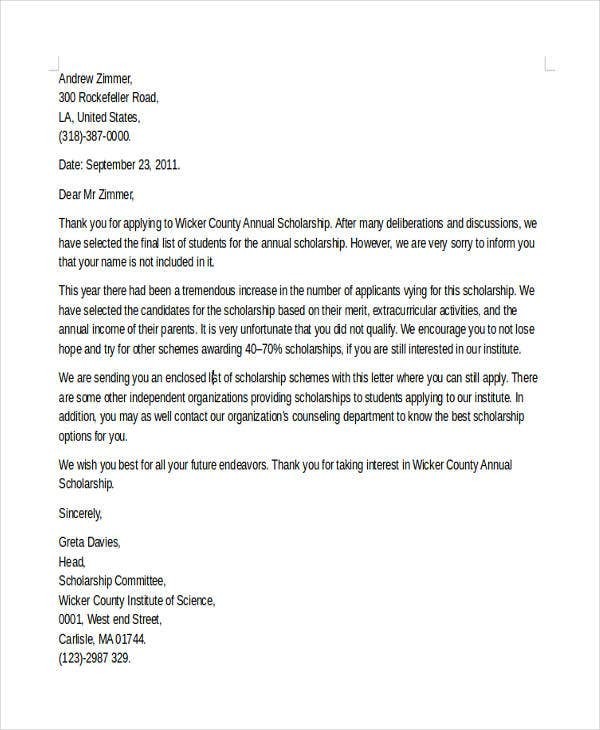 Scholarship rejection letter. 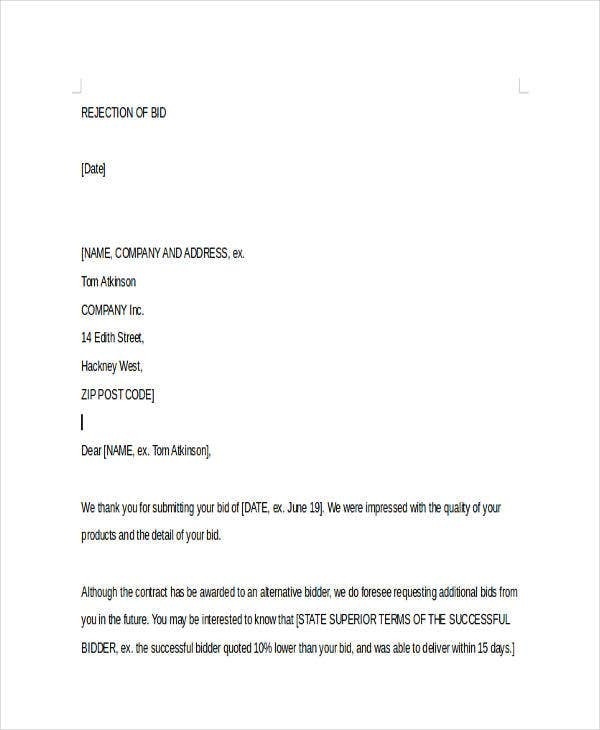 It is a writing that announces that the nominee about the rejection. Ensure that you don’t hurt the feelings of the aspiring scholars. Make the scholar understand that the cause for rejection for such rejection. You can also recommend other scholarship opportunities. 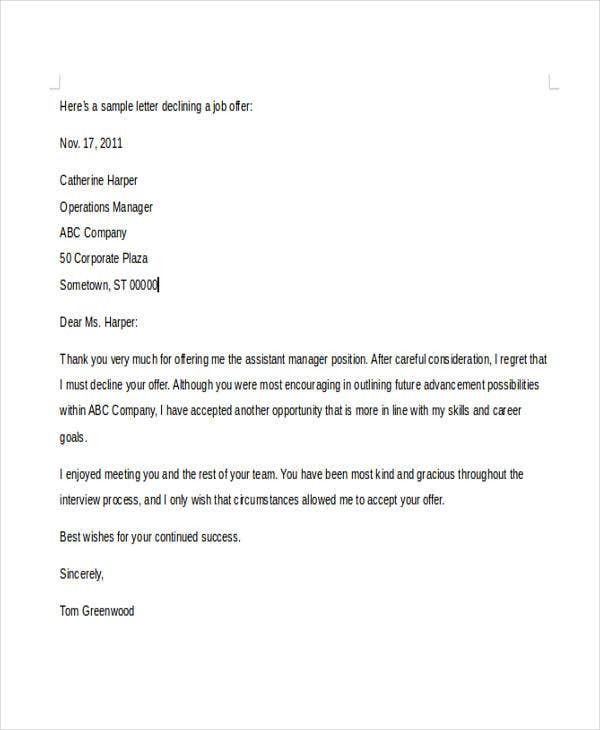 Rejection letters protect the company from acquiring negative comments. It is a way of avoiding public comments that your company adopts discriminatory hiring practices. It is a way of telling the public that you value every person or entity that engages with your company. 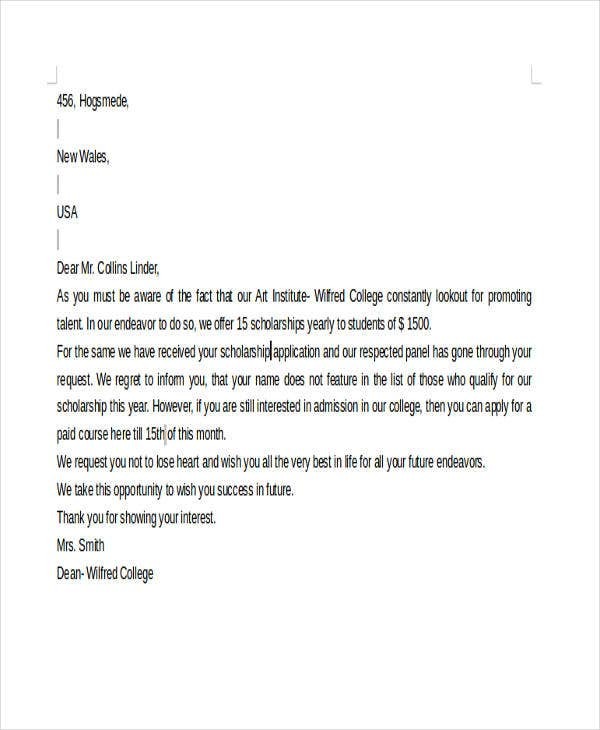 Rejection letters provide feedback. 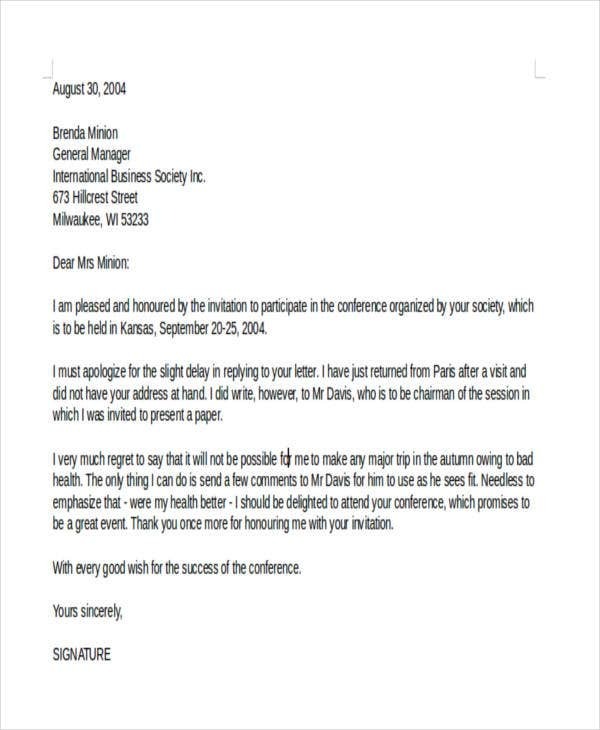 In the course of using your rejection letter, it is a way acquiring recommendations and suggestions. 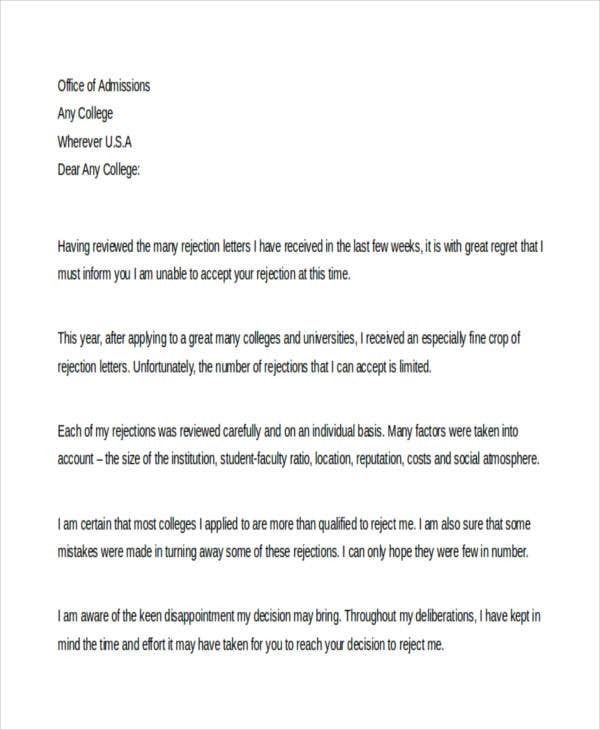 These are just some of the benefits of using rejection letters. 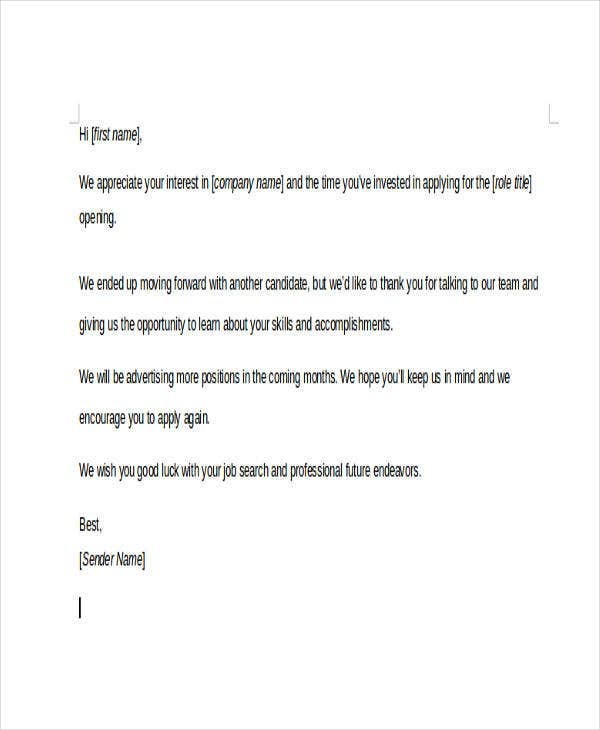 If you’re looking for more rejection letter samples and job rejection letter, we also have templates for you. Be polite regardless of the degree of rejection. 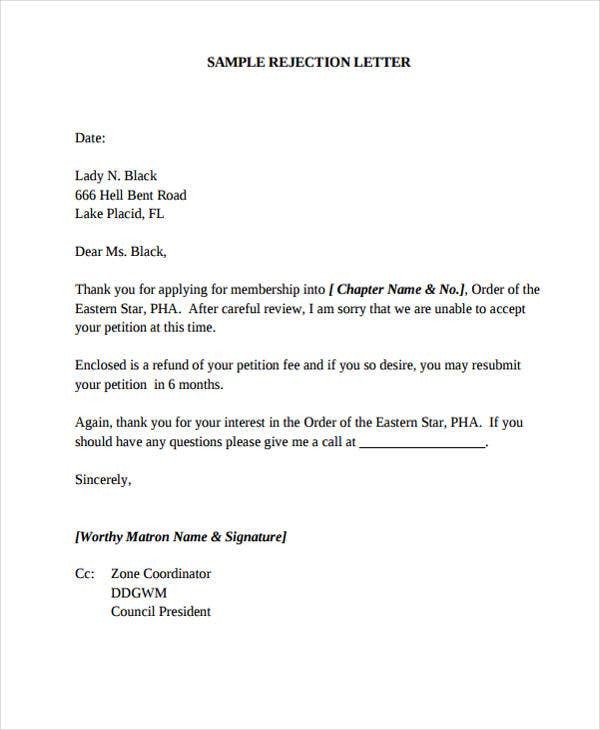 As a general rule, always start and end the letter in a polite and professional way. 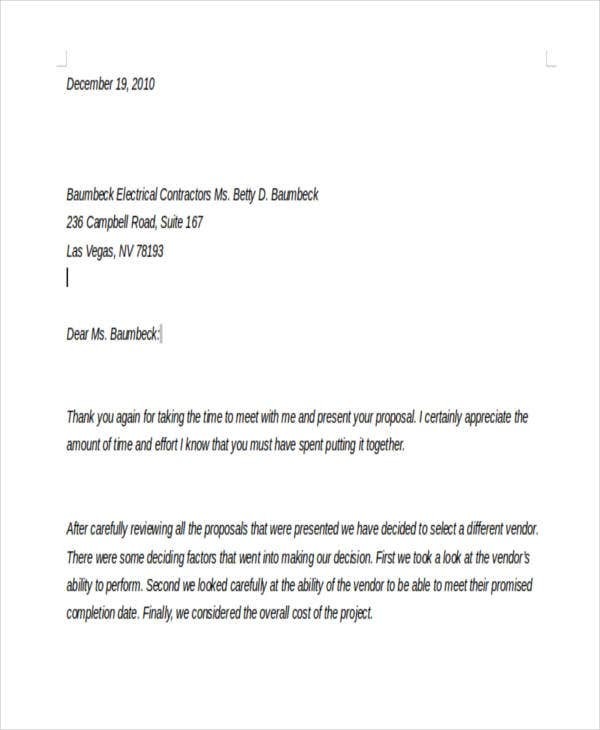 Even if you’re not that convinced and happy with a person’s business proposal, you can always start the letter by expressing your gratitude and appreciation. Point out the reasons why you reject the proposal. 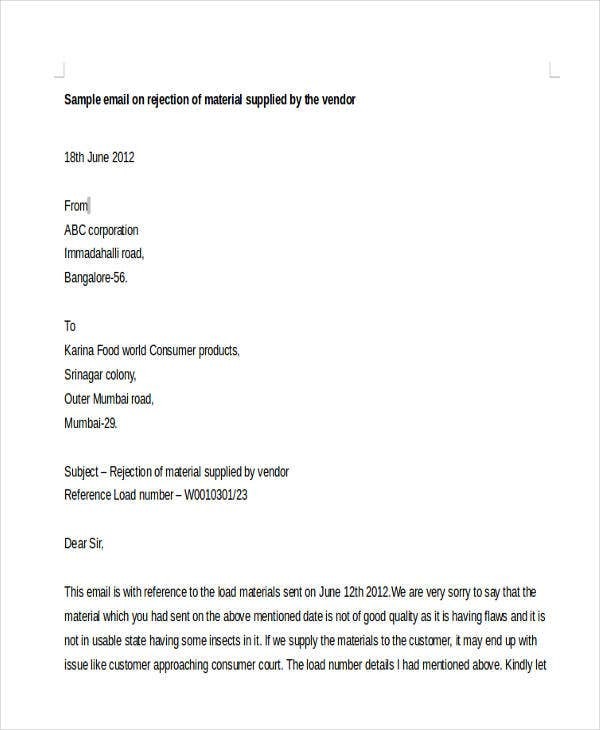 Ensure that the addressee understands why the business proposal was rejected. 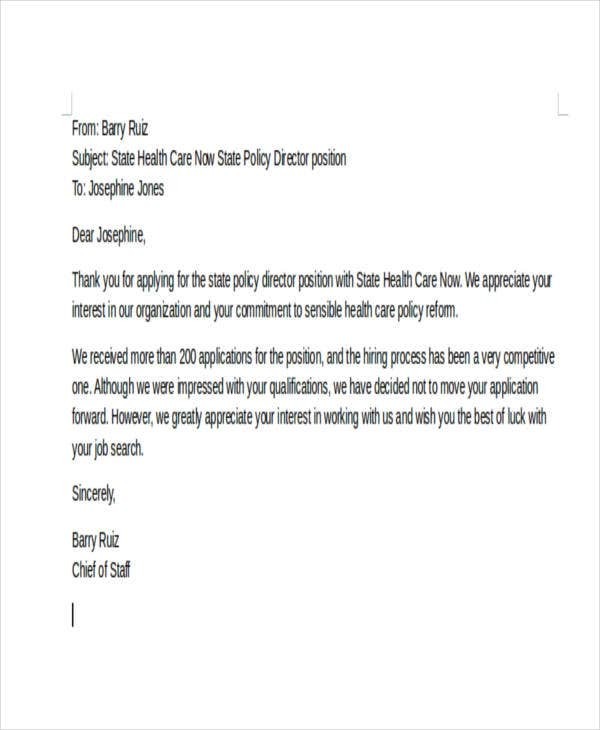 It could be because the proposal did not comply with the requirements or necessary qualifications. You can state that the proposal was good and the decision to reject was not easy for you. Provide a comprehensive feedback. 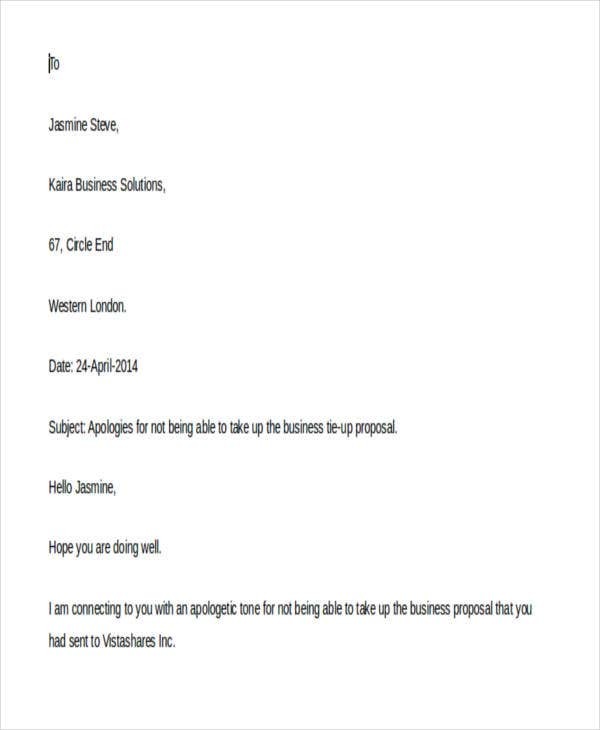 Rejecting a business proposal is an avenue for you to deliver positive feedback to the recipient of the letter. 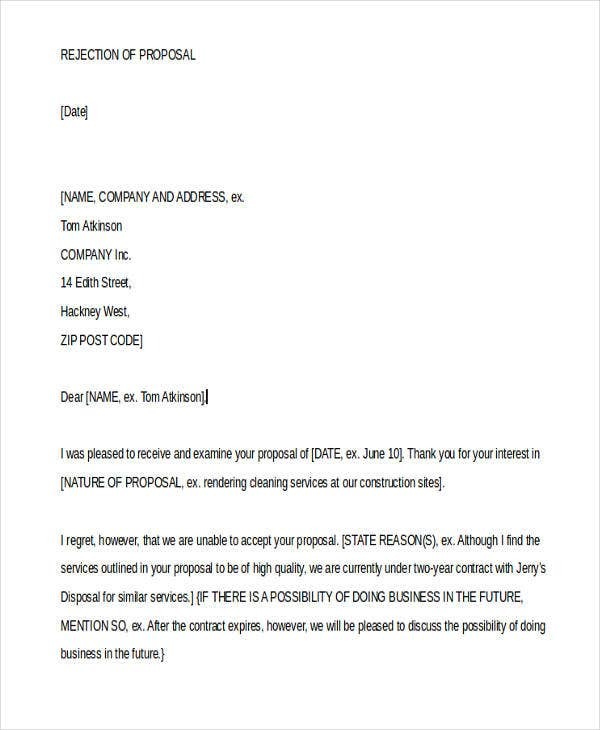 These are some points for you to consider in writing a rejection letter for a business proposal. 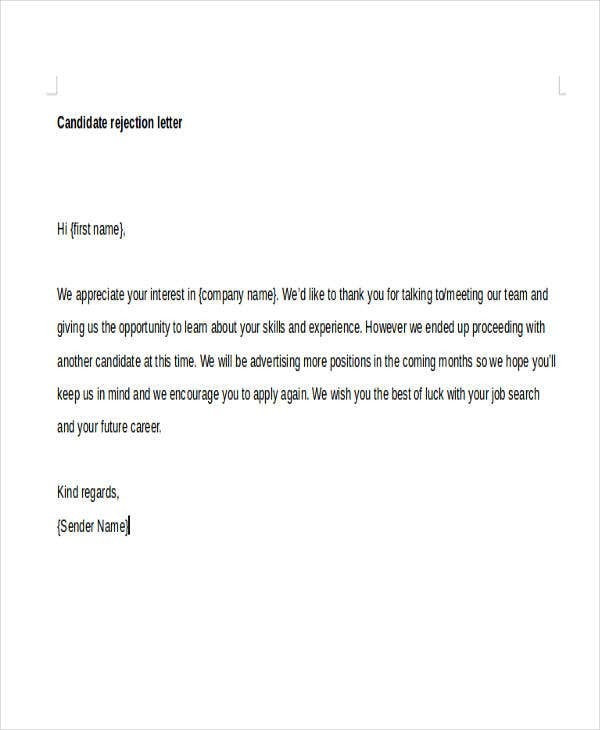 If you’re looking for offer rejection letter templates and rejection letter templates, you can access the provided links. Widen your options. 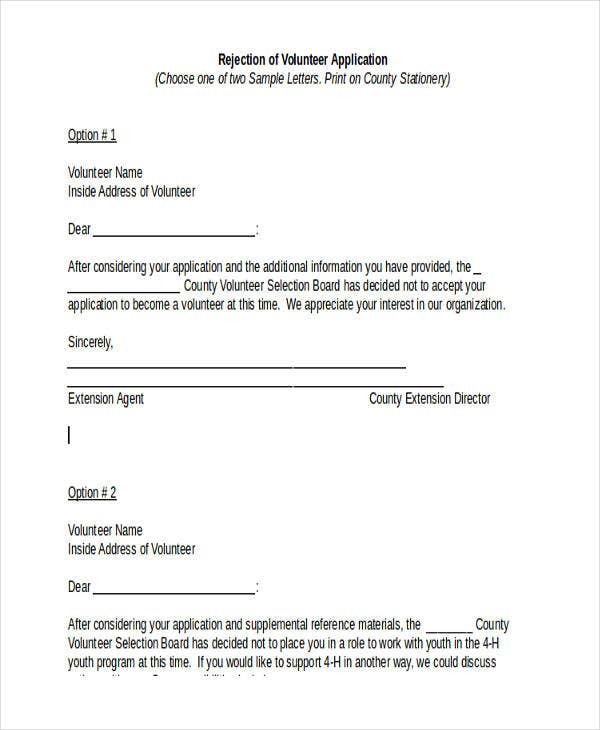 For instance, job applicants must expand their options and make a point to apply to various companies. It’s not personal. 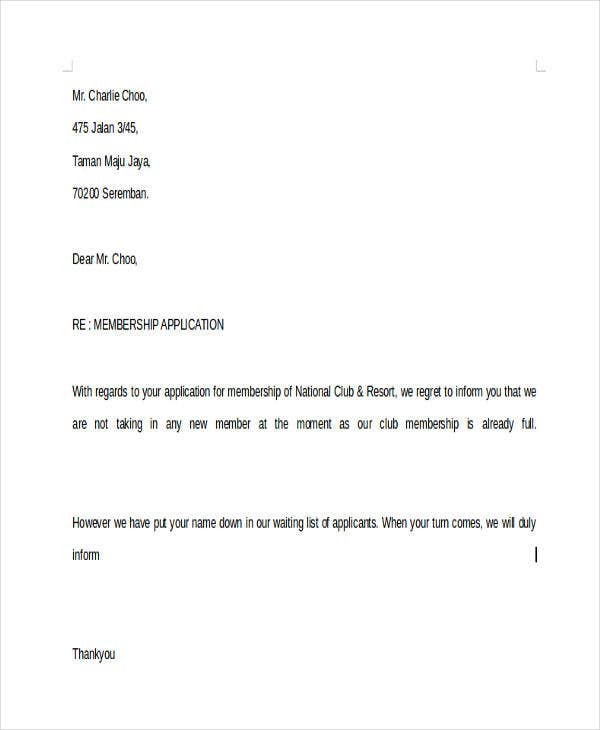 Always remember that a rejection letter is not personal letter. It is given to you for various reasons such as the business-related ones. Don’t delve on the negativity and take as a challenge to improve your career credentials. Be realistic. These are some points that you can consider. 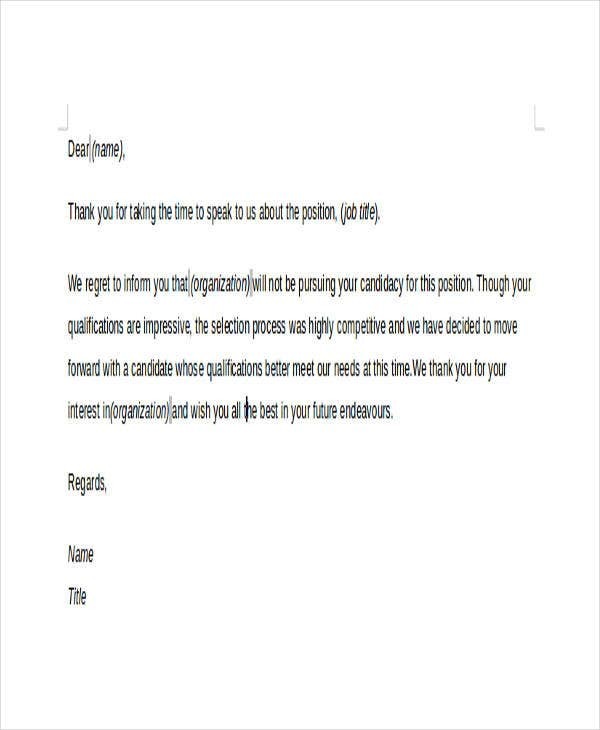 If you’re looking for best rejection letter templates, we also have some templates for you. Feel free and enjoy your stay at template.net!